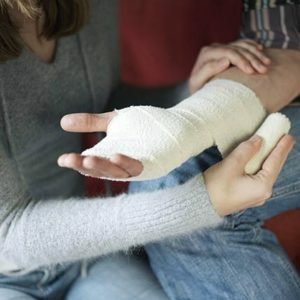 Vital documents like medical reports and accident details are a few of the needful materials required if you hope to get compensated for your work injury. When filing for work injury compensation, talks are often held by the two involved parties, the claimant and the employer, in which a price is agreed upon negotiation. However, in a situation where an agreement is failed to be reached, the case can be taken to court. Once the case is taken to court, it is advised that you wave your right to represent yourself so as to not jeopardize it in any way. At this point, a competent attorney will do you a world of good in managing your case, helping you understand the proceedings and most importantly, representing your best interests. Rawa Law Group stands proudly in Newport Beach for several reasons. The first reason being the wealth of experience our attorneys have which combines to over 55 years. That is 55 years’ worth of practical legal guidance you can benefit from! Another obvious reason is our methods which have been described as both thorough and personal. We advocate for you relentlessly, organizing consultation meetings based on your schedule and providing you with all the information you need about your case. Our work injury attorneys in Newport Beach will evaluate your case, taking note of every detail and pursue your gain relentlessly till your case is won. You are not required to make any payments until we have won you money. Sign up for a free case evaluation today and reach us via the address below.